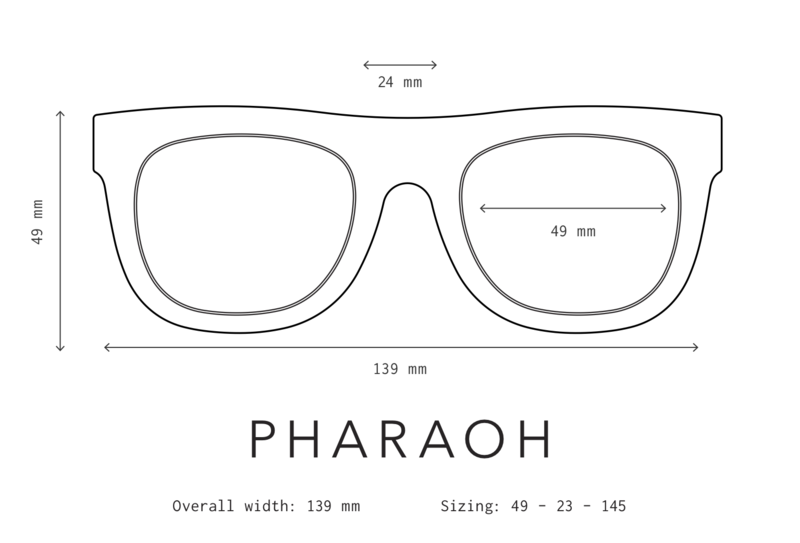 Pharaoh is inspired by the lavish style and glamour of the supreme rulers of Ancient Egypt. Always dressed in extravagant statement jewelry and headpieces, these “Gods on Earth”imparted an enduring legacy of wonder... from the creation of the pyramids - an unprecedented feat of human achievement - to the illustrious reign of Cleopatra. The Pharaoh collection is our bolder take on Pioneer and our first to feature metal-rimmed lenses built within the thick acetate frame. They are also the first to feature ombré lenses - a gradient from dark to light. Like the pyramids, this frame wasn’t built in a day, and with its metallic details and bold frame, our Pharaoh collection pays tribute to the power and luxury of Egyptian dynasties.